Uttar Pradesh Chief Minister Yogi Adityanath on Thursday asked officials to crack down on hoarders and black marketers who were responsible for the escalation of prices of onions and tomatoes. 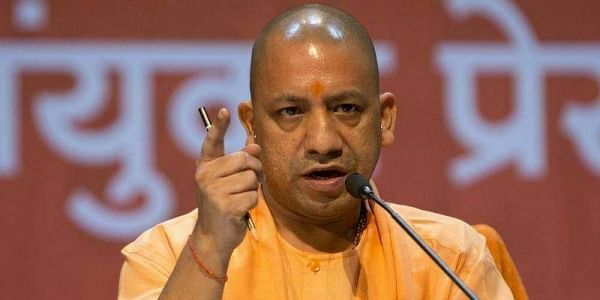 LUCKNOW: Uttar Pradesh Chief Minister Yogi Adityanath on Thursday asked officials to crack down on hoarders and black marketers who were responsible for the escalation of prices of onions and tomatoes in the market. At a review meeting to assess the rates of vegetables in various markets of the state, the Chief Minister expressed worry over the increase in prices of onions and tomatoes and asked the officials to ensure their prices are reined in. He also directed all district magistrates to ensure that hoarders and black marketers are not allowed to stock the vegetables and allow price increase in the market. In case people are found to be hoarding them, the administration should crack down on them. Adityanath also asked the concerned departments to be vigilant about the price hike of onions, tomatoes and other vegetables due to hoarding. The Chief Minister directed the officials to request the Union Agriculture and Food Ministry to ensure supply of onions in case they are being imported. It was found during the review meeting that the average wholesale price of tomatoes in November was between Rs 2,500-3,000 per quintal and in retail price, it was Rs 40-50 per kg. In the same way, the wholesale price of onions was Rs 2,600-2,800 per quintal while it was being sold at Rs 35 per kg or more. Prices of other vegetables was found to be normal in the market, an official told IANS. During the meeting, Adityanath was apprised that the new harvest of tomatoes will reach the market by November-end which will lead to normalisation of the prices. Regarding onions, it was discovered that at present the onions produced in the Kharif season were being sent to the markets of Maharashtra and Gujarat for sale and hence the supply was less.